Generally, people do not like to have a home. Instead, they like to own a home. Buying a new home is very difficult for people who do not have enough money to make the investment. Many financial options are available now to buy a house, but house loan gets more fame among people. Getting a loan is essential, as well as it is a big deal for beginners. The house buying decision is entirely based on the overall loan amount you can actually avail. It is significant to consider some essential things before going to apply for a home loan. It is essential to know that getting house loans involve much documentation, paperwork, and other procedures. Along with this, it is also exhausting and time-consuming to pursue a house and apply for the house loan. 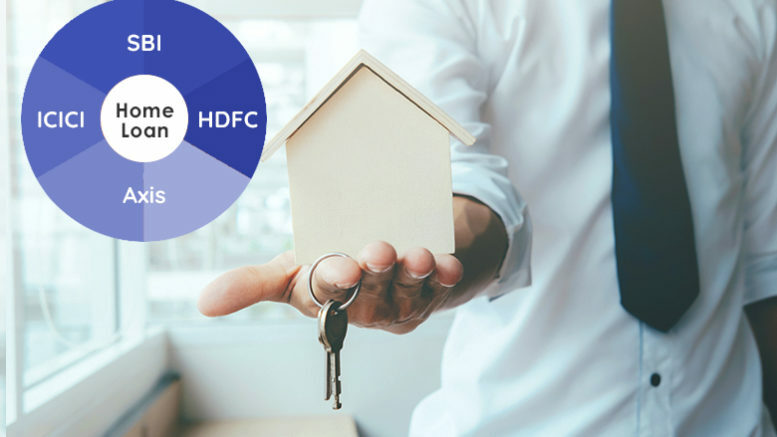 If you plan to buy a house with a home loan, you can consider these following things carefully. The EMI is a main factor which influences the house loan from your viewpoint. It is an outflow of a month which will go completely towards repaying the loan for minimum the next ten to fifteen years. It is highly recommended to avoid allows the EMI exceed forty to forty-five percentages of your overall monthly income. After knowing the EMI, you require checking about how much actually you can give from your pocket. In this step, you will require contributing minimum twenty to twenty-five percentages of your chosen property value. No bank or financial platform will provide you the 100% house loan. For example, if you require buying a house worth roughly about 25 Lac, the bank will grant the loan amount of 20 Lac. In this process, you will need to arrange the remaining amount of 5 Lac. Along with this, you can check the loan eligibility of your house. Here, you will require deciding accurately between the minimal EMI at beginning and increased interest or minimum term and increased EMI but minimal interest. If you require a huge amount of loan that what the EMI affordability let you, you can prefer the longest tenure. It will minimize your EMI, as well as banks, may provide you more loan amount. The home loans generally come with 2 types of ROI that include floating and fixing. In fixed ROI, the rate of interest will remain same for the duration of five to ten years. The rate of interest can vary anytime based on RBI norms as well as different market conditions and government policies in floating ROI. Except for processing fees, the house loan does not include any additional charges. There are some legal verification amounts in some cases. You need to pay some amount while changing the EMI or transfer the loan to any other bank. It is an essential step that you need to do when you acquire the house loan. Some insurance policies not only provide common benefits but also let you some conveniences in the instant of job loss, disabilities, critical illness and much more. It is helpful to learn about the tax benefits and tax implications that you are actually entitled for receiving when servicing the home loan. These are most significant aspects that help you to choose the right house loan. There are many banks offers house loans that include SBI, ICICI, standard chartered, Axis and HDFC. It is essential to know the years of tenure, interest rate and other aspects of every bank. These are the interest rates and tenure of home loans which are offered by various banks. The high accurate interest and tenure details make SBI as the best bank to get house loan. Be the first to comment on "Get House Loan From The Best Bank To Enjoy Better Interests And Tenures"